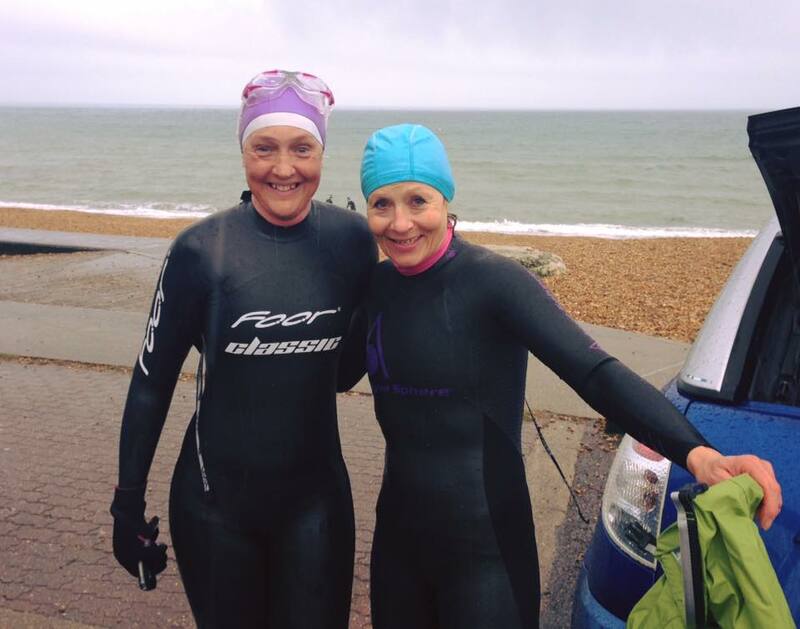 It was the Osprey Sprint Triathlon – their first triathlon of the season. It always has such a FAB atmosphere & for anyone new to the sport, it is a really good introduction. I didn’t do it last year (not sure why) but found myself signing up for this event ‘to give me something to aim for through the winter’ The target, however, wasn’t enough to make me swim over the winter. So 3 weeks before the event, this fact dawned on me & I started to question whether triathlon is really for me. Anyway. Long and short of it…it was fun 😀 & not nearly as cold as I thought it would be. 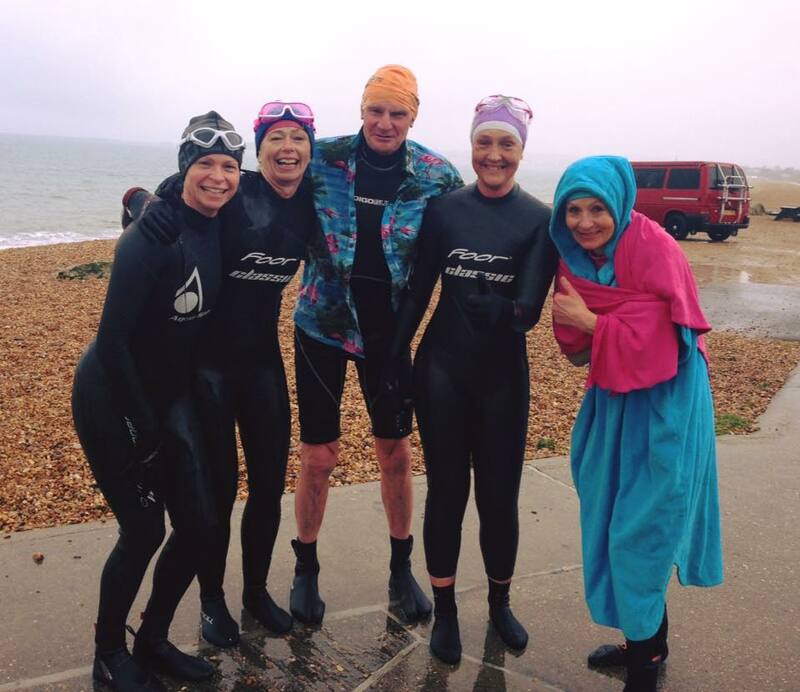 Swim training was done then – one swim out to the buoy and back would be enough, wouldn’t it? A few friends were doing their first event & I’d spent weeks assuring them it would be fine & they’d have a ball (which, of course, they did) But, I was starting to feel a bit wobbly about the whole thing. The previous events in 2013/14 I was pretty anonymous, nobody really knew me that well & I could hide behind ‘I’ve only just started this’ & ‘I’ve never exercised before in my life’. This time, however I couldn’t do that. 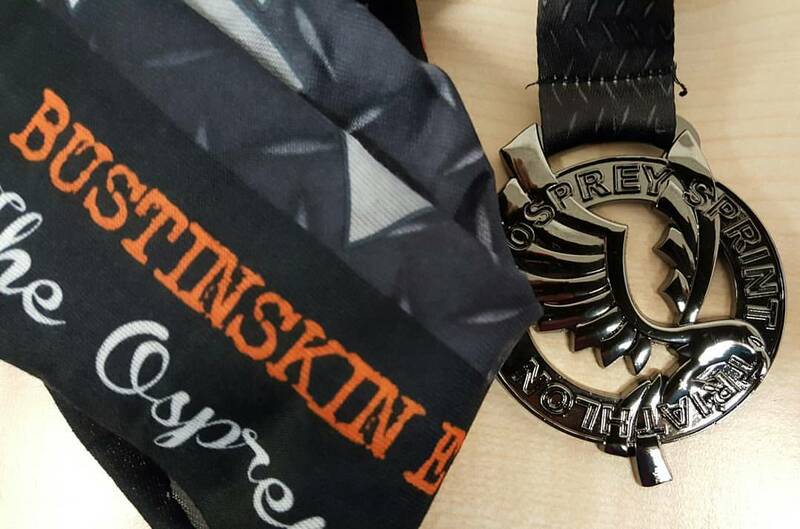 I’ve completed a half ironman distance event for goodness sake. It started to really bother me, that people would see just how rubbish I really am. People have been telling me how inspirational I am & it doesn’t sit comfortably with me. I have a go at stuff & I get by & get it finished. But to say I’m inspirational is unsettling, because I really am crap at it. I did the ride 11 minutes quicker that 2014 & got 4 PB’s so I was happy. Out on the run I felt ok, not great, but it was doable I was 3 minutes quicker than 2014, but actually I was much slower than I know I can run now. I’m still carrying fatigue from the JCC I think, because I’m really, really struggling with running generally at the moment. The wait for the official results was agony …. I knew I’d been quicker (I was 12mins 11 seconds quicker than 2014), but I was secretly hoping I’d actually beat some people I know. I’ve never felt like that before…I’ve never been particularly competitive (I am with myself, but never against other people) I’ve assumed my position at the bottom of the results list grateful to have got round and finished. I was disappointed with my result this time… I know… I should be elated – I was quicker….by over 12 minutes… but I feel….well I’m not sure how to put it into words… how can people say I’m inspirational if I’m so rubbish and so slow… like I said I find the inspirational mantle a bit hard to ‘wear’ at the best of times, but now everyone will see just how slow I really am. I try so hard & find it all so difficult & I’m not sure how to get out of this feeling of bleugh…? Well done Kathy. Never give up!